When in Baguio, as much as possible I try only the local restaurants. Those that you can only see in Baguio. 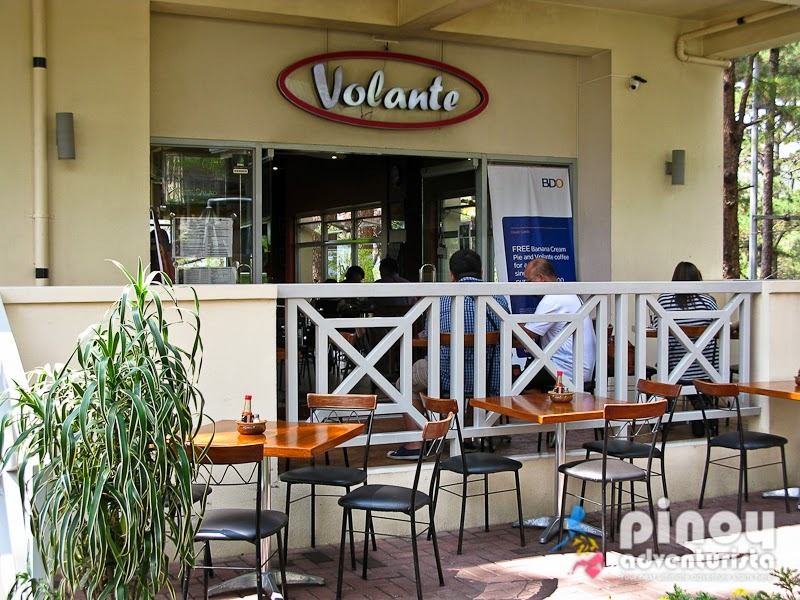 One of a must-visit is Pizza Volante, a home-grown restaurant that is considered as one of the best Italian restaurants in Baguio city. 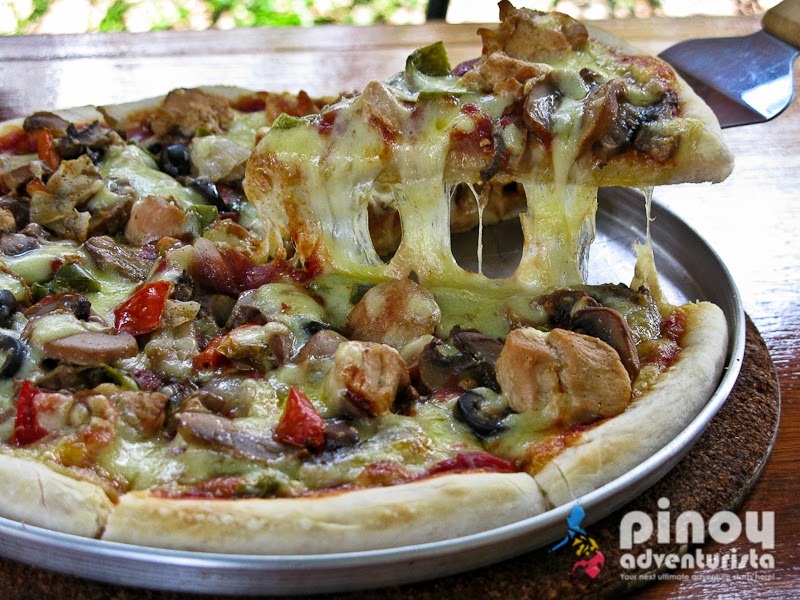 They offer freshly made and delicious Pizza and Pasta dishes that has been known for years among local residents and tourists visiting Baguio City. Located in Ayala Land Technohub inside Camp John Hay, the restaurant has lovely and stylish interiors with their menu written on a board on top of the kitchen window. There are a several tables set up inside and outside the restaurant which I think could sit up to 60 people at a time. 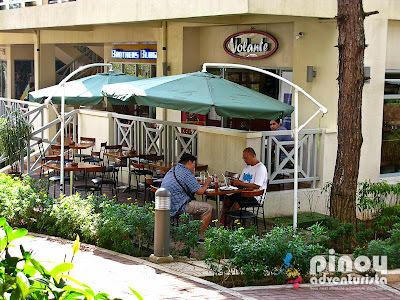 To feel the cool Baguio air, we opted to seat outside the restaurant which gave us a cooler and more relaxing ambiance. 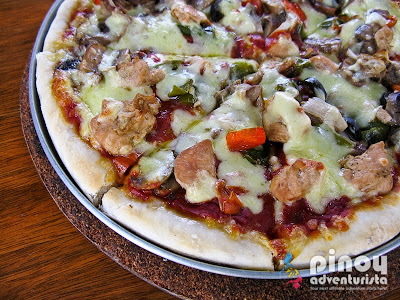 We had a 10-inch Pizza Marengo (PHP 269.00) which is a recipe created by Napoleon's chef at a small town on the Piedmont region of Italy. The pizza has a soft crust with the right amount of crispiness. It is topped with chunks of chicken breast, mushrooms, fresh onions, bell peppers, and lots of mozzarella cheese. It was really good and I'd recommend it! Just add a little bit of their Volante hot sauce and you're good! 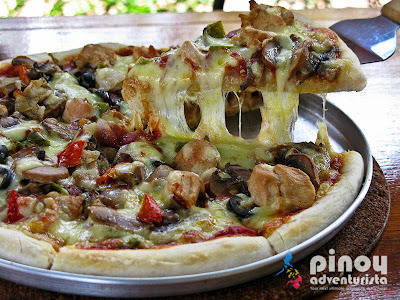 Pizza Volante's other pizza varieties include Peperoni and Mushroom Pizza, Kenny George Pizza, Smoked Salmon Pizza, Tuna Pizza, Pizza Bolognese, Chili con Carne Pizza, Roast Chicjen Pizza, Burger Pizza, Pizza Hanna, Pizza Putanesca, Sardine and Mushroom Pizza, Maui Pizza, Bockwurst Sausage and Onions Pizza, Shrimp Pizza and Vegetarian Pizzas such as 4 Cheese, Mozzarella Cheese, Pesto, Margherite and Vegetarian's Dream Pizza. 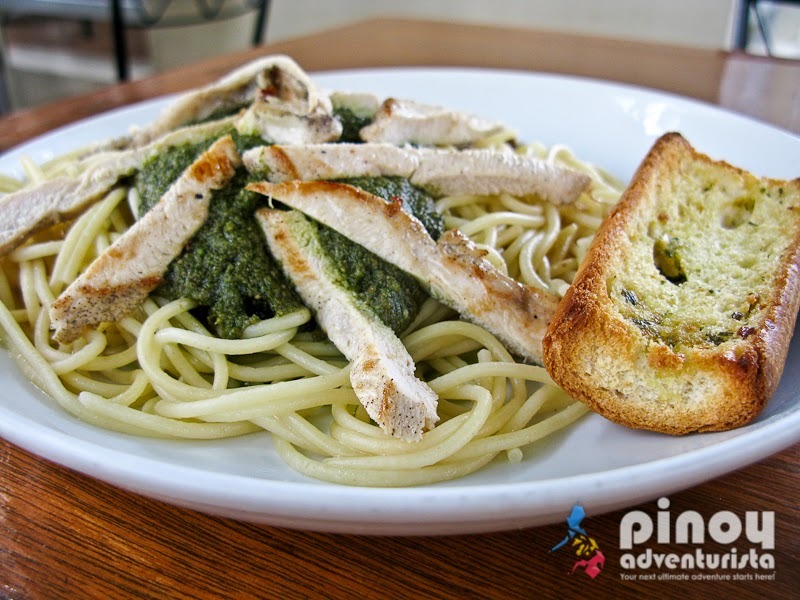 We also wanted to try their pasta, so we ordered Pizza Volante's Pesto on Pasta with Roast Chicken (PHP 93.00 - Regular / PHP 179.00 - Large). I love how the roasted chicken strips on top were juicy, tender and very tasty. The pesto sauce which is made from a combination of basil, garlic, roasted nuts and virgin olive oil is so flavorful. This is also a must-try! 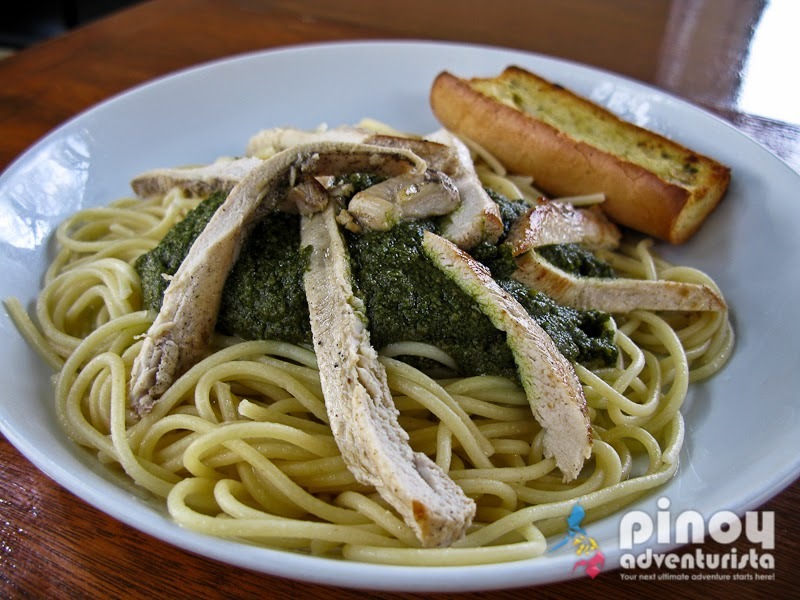 Other pasta varieties include Pasta with Meat sauce, Pasta Alfredo, Pasta Putanesca, Mussel in Red Sauce with Wine, Spaghetti Bolognese, Shrimp Pasta, Spaghetti with Meatballs and Chili con Carne Pasta. 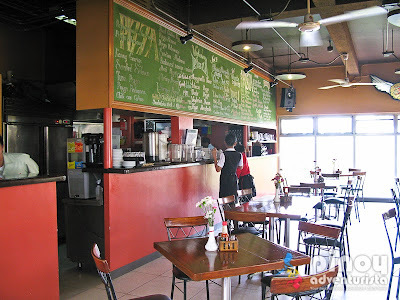 They have a wide array of dishes to offer; from fish, chicken, pork, beef to lamb dishes. 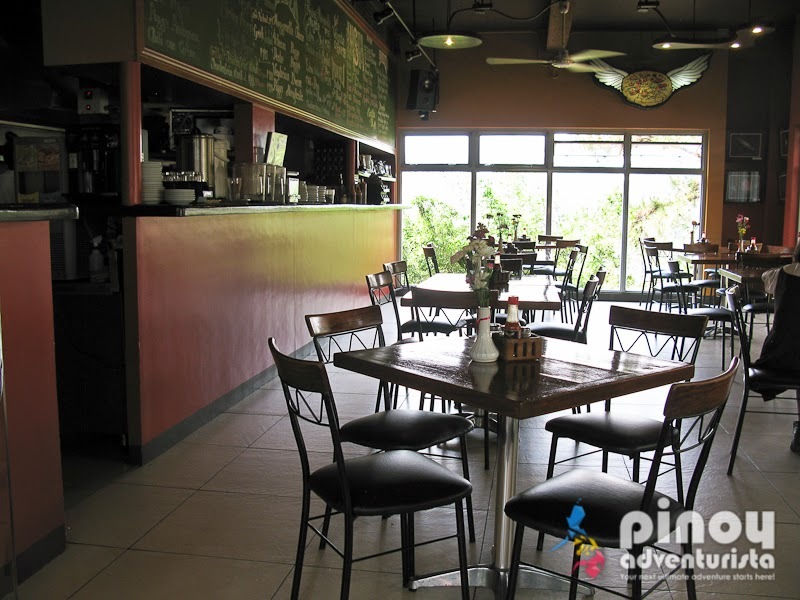 Breakfast meals, waffles and desserts are also available. You'll definitely find a dish that will suit your taste. 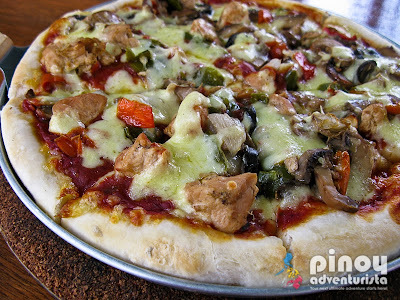 Overall, I had a great time at Pizza Volante. 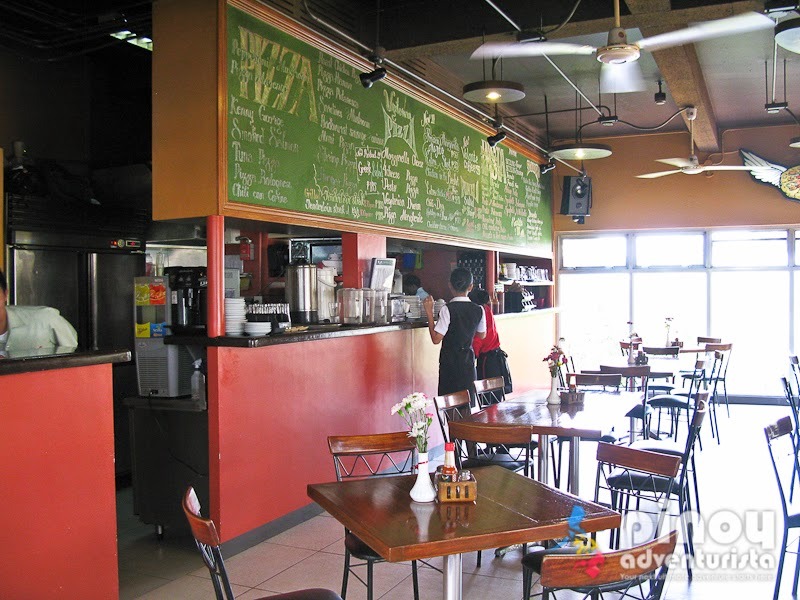 It is a very nice place to dine in Baguio City. The place is warm, laid back and perfect for dining out with family and friends. The staff are well-oriented, pleasant and friendly. For the quality food that we tried, they were satisfying and yet affordable. 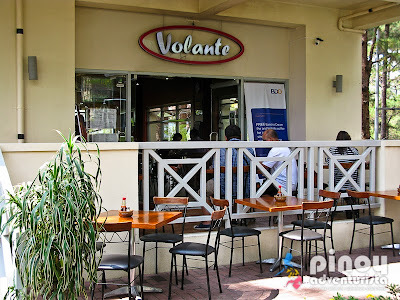 So, if you're looking for Italian meals at a reasonable price, Pizza Volante is the best place to be. Disclosure: We were invited by Pizza Volante to try their dishes. Thank you for hosting us in Baguio City.